OKi's FREE Soldering System & Blade Tip Offer Ends Soon - Get Yours Today! All good things must come to an end (in this case July 31, 2012) and that's why we're reminding you, no, urging you to act now on OK International's incredible FREE offer: With the purchase of the OKi MRS-1100A Modular Convection Rework System (on sale for $4119.75), you'll get the OKi MFR-1120 Soldering System (a $335 value) and the CFV-BL100 10 mm Blade Tip (a $59 value) for FREE. That's a total savings of $669.25! The MFR-1120 Soldering System, which includes the MFR-H2-ST Soldering Handpiece, and the CFV-BL100 Soldering Tip, which is a 10 mm wide blade-shaped tip, combined with the OKi MRS-1100A Modular Rework System, which includes a handheld convection tool, preheater, and adjustable tool holder with a free-standing board holder, help you create the ultimate soldering/rework system for removing and placing BGA/CSP and SMT components, production soldering, touch-up soldering, and SMD rework applications. This high-quality system provides everything you need to work with today's PCB and component technologies. It's not often you can get a quality soldering system and tip for FREE, so don't let this exciting opportunity pass you by. Just add the OK International MRS-1100A to your cart at QSource.com and we'll add the MFR-1120 and CFV-BL100 to your order for FREE. If you have any questions about any of these OK International products, or for more information, you can also contact our knowledgeable experts at 800-966-6020 or via email. Remember, this FREE offer is valid only until July 31, 2012. We're all for taking it slow on those hot summer days. But with only two days left in our July Social Networking Sale, now's the time to move fast! Put the lazy days of summer on pause and jump online to save 10% OFF on EVERYTHING at QSource.com. Think of everything you'll be able to accomplish by taking just a few minutes to shop and save at our Web site. Use your 10% OFF to purchase Brady's LabelMark™ 5 Software and in no time you'll be creating great labels in the comfort or your air-conditioned office. Or perhaps you need storage solutions. Well, you won't break a sweat with these easy-to-assemble Complete Wire Shelving Units from Metro. And don't forget how quick and easy it is to browse through our diverse departments for helpful items such as high-quality wipes from MicroCare or precision cutters from Swanstrom. July 31, 2012 is not just the end of the month, it's the end of your chance to save an additional 10% on all of our quality items at our Web site. 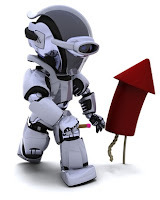 And it's so easy to do: Visit the Q Source Facebook Welcome page and "LIKE" us. After you get our June Social Networking Sale coupon code, you can log on to QSource.com and start enjoying 10% OFF on EVERYTHING. Transforming Technologies is known for creating innovative, high-quality solutions for static control. Their newest creation, an addition to the MT Series line, is the MT-Textured Series ESD Rubber Work Surface Table Matting. The MT-Textured Series are two-layer, ESD-safe mats made of 100% co-extruded rubber. The layers consist of a textured dissipative top layer and a conductive bottom layer. 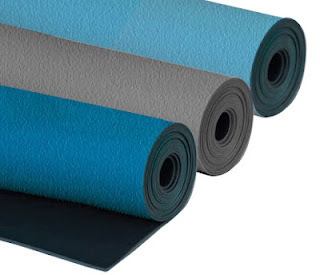 These durable mats boast excellent resistance to soldering irons, hot solders, and most solvents. This series of work surface mats are also available in pre-cut sizes (which include grounding hardware and common point ground cords) or custom sizes. Please contact Q Source for pricing and purchasing information. For more information about the MT-Textured Series products, or for other Transforming Technologies static control solutions, please email us or give us a call (800-966-6020) and one of our knowledgeable sales associates will be happy to assist you. Pssst, do you know that Brady's awesome Summer Printer Promo ends on July 31, 2012? You've done it, right? You've taken advantage of these incredible, money-saving offers, haven't you? If not…what are you waiting for?! There's less than a week left! Trust us when we tell you that these are "don't-let-them-pass-you-by" kinds of deals. How can you ignore a Buy 2 BMP®21 Printers and Get 1 for FREE offer or a Buy 1 BMP®71 Printer and Get a Second for 50% Off deal? The Brady BMP21 Hand-held Label Printer is a lightweight, fast tool for printing labels on the go. With this "Buy 2, Get 1 Free" special offer (Brady #: BMP21-3-PACK, Q Source #: B001-005235) you can easily upgrade your existing printers or create a new label printing system for an unbeatable price. The durable Brady BMP71 Portable Label Printer features a multitude of materials and versatile options for creating labels with its built-in QWERTY keyboard and large, graphical display. Brady's "Buy 1 BMP71, Get a Second for 50% Off" (Brady #: BMP71-2-PACK, Q Source: B001-005236) deal is a can't-miss way to add several of these quality printers to your workplace. At Q Source, we have 28 years of experience in offering you the best Brady printing solutions at the lowest prices. If you have any questions about the Summer Printer Promo, or about Brady products in general, please contact us via phone (800-966-6020) or email and one of our knowledgeable experts will be happy to suggest the right Brady resources for your job. Our extensive line of Akro-Mils storage and material handling resources allows you to be as creative as you want to be. Interchange sizes, colors, shapes…whatever works to create an efficient, workable system for your environment. If after shopping our Akro-Mils Department you still have questions about creating a color code chart, or you are interested in other 5S/Lean resources we offer, please contact us via phone (800-966-6020) or email and one of our helpful experts will work with you to create a solution. We know you're searching for the "precisely right" tool for your job. That's why we've created the Excelta Tweezers, Cutters, and Pliers Department at QSource.com. Our newest department features the complete line of tweezers, cutters, and pliers available in Excelta's Five Star System. Excelta's Five Star System ranges from the economy-level One Star Series line all the way up to the highest-quality Five Star Series line. Our new department features hundreds of these quality tools including the amazing Lazer Line Cutters and Cobaltima Tweezers that we've written about before. Excelta's Five Star System was created to help make it easier for you to select the "Precisely Right" tool for your application. For the level of quality and pricing, just check out the star rating. Excelta's One Star Series line offers quality products at economical prices. For example, these 24-SA-SE Angle Tip Broad Point Tweezers are just $4.83. Excelta's Three Star Series line features a wide range of tools for the demanding applications of the military, semiconductor, and electronic assembly sectors. These 11I Chain Nose Pliers fit the bill and are impressively priced at $39.55. Excelta has created ultra-precise tools using the most advanced materials for critical applications. Their Five Star Series line boasts high-quality tools such as these 7231EH Miniature Head Maximum-Flush Cutters at only $214.91. Excelta's precision hand tools were created to meet the needs of all types of industries including electronics assembly, bio-medical manufacturing and research, military manufacturing, and consumer electronics. Their tools are available in a variety of sizes, styles, and materials. The Excelta cutters section of our department offers more than 100 precision tools. Ranging from Two Star Series and Three Star Series to the higher level Four Star Series and Five Star Series lines, these cutters are perfect for both soft and hard wire applications in the electronic and medical industries. 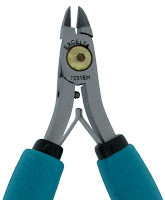 With more than 80 choices in a variety of sizes and styles, our pliers section features Excelta Two Star Series, Three Star Series, and Five Star Series pliers with or without serrations on the inside jaws. Excelta's industry-leading tweezers are available in a variety of materials and styles. Our tweezers section is packed with more than 350 choices from the full range including One Star Series, Two Star Series, Three Star Series, Four Star Series, and Five Star Series tweezers. If you have any questions after browsing through our extensive line of Excelta cutters, pliers, and tweezers please contact us via phone (800-966-6020) or email and one of our experts will help you choose the best tool for your job. It's "precisely right" that Q Source is your Excelta resource! It may be warm outside, but nothing's hotter than our July Social Networking Sale. Save a scorching 10% OFF on EVERYTHING at QSource.com through July 31st, 2012. With so many hot items on QSource.com, and this smoking 10% OFF offer, we're sure you'll find dozens of great products to spend some cool cash on. For instance, how about a microscope from Unitron or this powerful backpack vacuum from Atrix? You could also burn through our jam-packed departments for Excelta Tweezers, Cutters, & Pliers or Hakko Tips, Irons, & Soldering Stations. So, click your mouse before it melts and visit the Q Source Facebook Coupons tab. If you haven't already, click "LIKE" and you'll then get access to July's hot, money-saving code and to all future Social Networking Sale codes. Thanks for shopping with us. Stay cool! JBC's DIR-1B Advanced Series Soldering Station was designed to meet medium power requirements while creating industrial-precision solder joints. Featuring an exclusive, intelligent heat management system, the DIR-1B increases work efficiency using lower temperatures. John Sullivan, our JBC Tools representative, visited the Q Source office to discuss and demonstrate why the DIR-1B is the right choice for your soldering applications. After you've watched our video, please visit QSource.com to learn more about, and purchase, the JBC Tools DIR-1B Advanced Series Soldering Station. Our Web site also features an extensive selection of other quality JBC Tools soldering resources. Superior Uniform Group's Worklon brand of cleanroom/ESD garments has been a trusted industry leader for fifty years. A few of their popular products were recently awarded certificates of conformance for various international standards. Worklon® ESD Lab Wear Work-Stat, 98/Two, and MicroStat were tested according to ESD STM 2.1 – 1997 and pending revision (2012) by an outside lab. The results of this evaluation found that these ESD Garments met conformance standards set by ANSI/ESD S20.20. 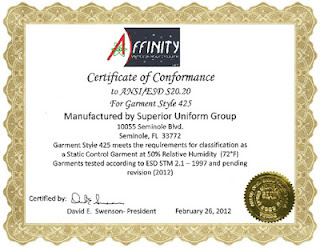 Apparel from the Work-Stat and 98/Two Systems meet the requirements of a groundable static control garment and groundable static control garment system as stated in ANSI/ESD S20.20. MicroStat ESD Lab Wear meets the requirements for classification as a Static Control Garment at 50% Relative Humidity. George also pointed out that Worklon garments feature the best fabrics (their breathable fabrics provide comfort and help users remain cool while still being safe to meet criteria for the manufacturing of ESD devices) and use high-quality construction techniques. It's their comfort, conformity, and coolness that make Worklon cleanroom/ESD garments THE choice for working in controlled environments. Q Source has been a proud distributor of Worklon/Superior Uniform Group products for fifteen years. In addition to the aforementioned Work-Stat, 98/Two, and MicroStat products, QSource.com offers a wide selection (more than 1,600 Worklon cleanroom/ESD items) of cleanroom boots, cleanroom coveralls, lab coats, and more. We have everything you need to provide cleanroom/ESD-safe protection for your employees working with sensitive electronic components. If you have further questions, or want to place a large order, please contact us via phone (800-966-6020) or email and one of our helpful sales associates will assist you. Superior Uniform Group was formed in Long Island, NY, in 1920 as Superior Surgical Manufacturing Company. Their corporate headquarters are now based in Seminole, FL, and their products cover workers from head to toe in a variety of industries including healthcare, cleanroom, retail, and others. To get an early start on the Independence Day celebration, Q Source will be closing at 3:00 p.m. Eastern time today. Our offices will remain closed tomorrow, July 4th, and re-open on Thursday, July 5th. Our Q Source family wishes you a safe and happy 4th of July. Enjoy the BBQs, fireworks, and time with your friends and family. Please note: Any orders placed through QSource.com after 2:00 p.m. today or on Wednesday, July 4th, will be processed on Thursday, July 5th. In stock items will also ship on Thursday, July 5th. MicroCare's Optixx™ Precision Lens & Instrument Cleaning Kit, created by the makers of Sticklers®, was engineered to provide a better cleaning process for high-precision lenses, glass surfaces, scientific instruments, and screens. Towne also stressed that the MicroCare Optixx Precision Lens & Instrument Cleaning Kit can ship by air anywhere and any way without restrictions. After you've watched our video, visit QSource.com for more information and to purchase the Optixx Cleaning Kit. We add new "On the Bench" videos all the time, so check out QSource.com and our YouTube channel frequently. What would you say if we told you that you could get a FREE Brady BMP®21 Hand-held Label Printer? Okay, how about if we offered you 50% off of a Brady BMP®71 Portable Label Printer? We're hoping you're answer to both questions was: "Yes, please." Because with Brady's Summer Printer Promo those great deals can be yours today. From now until July 31, 2012, Brady is running a Buy 2 BMP21 Printers and Get 1 for FREE offer AND a Buy 1 BMP71 Printer and Get a Second for 50% Off special deal. Yes, these are incredible sales and that's why we are thrilled to be able to tell you about them! The Brady BMP21 Label Printer provides quick, easy-to-use labeling for applications in the electrical, voice/data comm., and general industrial environments. With this "Buy 2, Get 1 Free" special offer (Brady #: BMP21-3-PACK, Q Source #: B001-005235) we recommend upgrading from your existing hand-held portable printers or creating a new printing system for your workplace. Brady's BMP71 Portable Label Printer offers a rugged, durable solution for feature-rich label creation. The Buy 1 BMP71, Get a Second for 50% Off (Brady #: BMP71-2-PACK, Q Source: B001-005236) deal means you'll be able to create twice as many labels for your work environment at a great savings. Q Source's long-time relationship with Brady (since 1984) means our experts are particularly skilled at helping you find the right Brady solution to your printing and labeling needs. If you have any questions about Brady's Summer Printer Promo, or any other Brady product, please contact us via phone (800-966-6020) or email and we will gladly help you. Q Source's July Social Networking Sale: Liberty, Justice, & 10% Off EVERYTHING! Liberty, justice, and 10% off EVERYTHING at QSource.com—sounds like a great way to celebrate Independence Day. Because, like freedom, it is so popular, we've decided to keep our 10% Off on EVERYTHING deal for another month as our July Social Networking Sale. Taking part in our Social Networking Sale is easy. All you have to do is visit Q Source's Facebook Welcome page and, if you haven't already, "like" us. You'll get access to the July coupon code (and all subsequent codes) and then you can start enjoying 10% off on EVERYTHING at QSource.com. There are thousands of items on QSource.com, and now you can save an additional 10% off on our already discounted prices on great products like Hand Tools, Cleanroom items, and Static Control/ESD resources. Don't forget to check out our most popular departments and find super deals on product solutions from Akro-Mils, Lindstrom, and Weller.